Totle, a U.S.-based cryptocurrency startup, has raised $1 million in a private funding round led by leading blockchain industry institutional investors including Arrington XRP, NEO Global Capital (NGC), and Goren Holm Ventures. 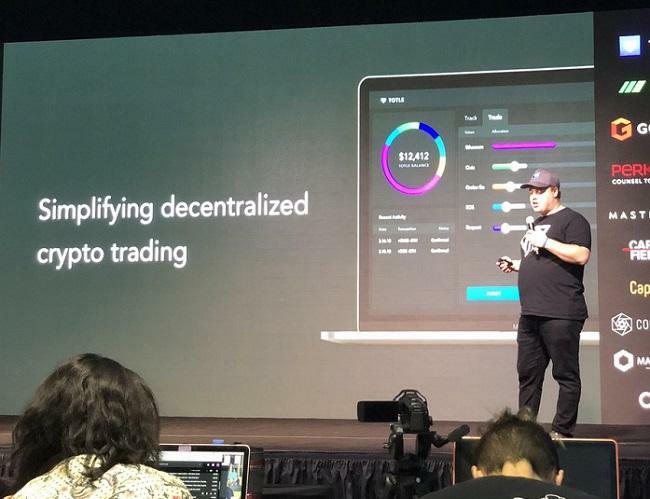 Headquartered in Detroit, Michigan, Totle aims to power the growing cryptocurrency and DApp ecosystem by aggregating multiple DEXs behind the scenes and enabling trading across all of them via one, clean and easy-to-use user interface. “Totle is an important part of the future of the blockchain economy. Their platform enables users and organizations to initiate reliable, non-custodial transactions,” Arrington XRP founder, Michael Arrington, said. Speaking with TokenPost, Totle founder and CEO David Bleznak said that his first involvement with crypto began with bitcoin in 2013. “What ultimately drew me to crypto was the concept of autonomy and freedom from the broken model most of us operate under today (the same one that led us to a financial crisis in '08),” he said. “Totle's mission is to bring crypto assets and into everyone's life (without marginalizing the inherent benefits of the tech like Coinbase or Binance). Last month, Totle launched its first-of-its-kind API which will eliminate the need to integrate with and understand the protocols of multiple decentralized exchanges. In its official release, the company said that it plans to use the amount raised in the latest funding to accelerate global growth in the B2B space and expand solutions offered including native wallet integrations and swap widgets. “Some of the funding will go toward expanding our global presence in the B2B exchange space. We'll continue to market our API to businesses/softwares that need the decentralized exchange functionality within their applications,” Bleznak added. When asked about his expectations for the cryptocurrency market this year, Bleznak said that he expects 2019 to be a stable and positive year for cryptocurrencies. “I think Ethereum has the most upside potential of any cryptocurrency because of its programmability and large developer base. My bet is on late this year and next year for similar growth rates to 2017. Bitcoin should reach $300k at its next peak, which could happen any time over the next few years,” he added. Totle currently supports trading across Airswap, Bancor, ERCdex, EtherDelta, Ethex.Market, Kyber Network, OasisDEX, OpenRelay, Radar Relay, SharkRelay, Token Store, Uniswap, and weiDex. It is currently working with crypto wallets, portfolio management solutions, margin traders, arbitrage traders, and more on API integration. “As we integrate with new DEX protocols and venues, we will announce them in addition to any new customers that begin using our products. Look out for these announcements as well as updates on major investors. It is going to be an eventful year!” Bleznak concluded.